I love all kinds of fabric, except, perhaps, old plaids. My mom always dressed me in plaid when I was little, and I hated it then. Still do! I love chintz. Big, flowery chintz. I don’t have any in my house, but I am drawn to it. Check out the beautiful rose chintz here at Style Court. If you like reproduction fabrics, have you seen the website? Fabrics from any era, the late 1700’s on. Wow! I love the blue paisley, but I’m not a “blue girl” anymore. That was in my country days! 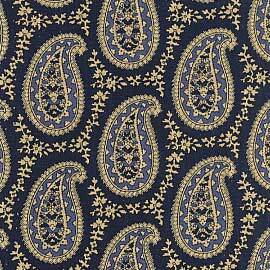 Now THIS fabric might appeal to you if you like Paisley! Pink, green and black… find it at the Interior Mall. 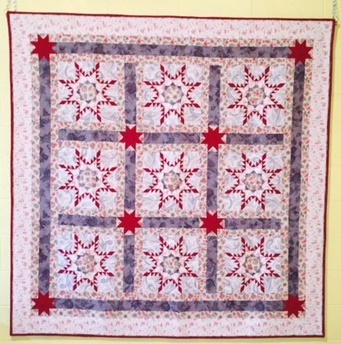 My absolute favorite place to shop for quilt fabrics is at eQuilter.com. I love how you can use the design board to see how well the fabrics you’ve chosen go together. 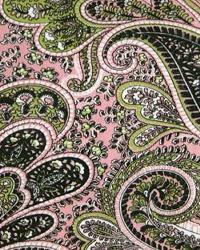 Check out the collection of paisley they have at eQuilter! Lots more beautiful chintz fabric is available at DutchQuilts.com. I love the reds! Mmmmmm, beautiful! If you are a fabriholic, I hope these sites give you a few good minutes to browse. Or, like me, the entire morning! I enjoyed your blog, Thanks for stopping by mine. I always wanted to do Dear Jane, just never got started, I admire yours.